There are some disadvantages to not doing this in place. After a little while I got into pipelining mode, connecting only the power leads and push-button switch for one track switch, hook everything up, QA the previously soldered LEDs, try out which way around the LED leads need to be soldered, then carry everything back, finish up the soldering, and half-start the next one. 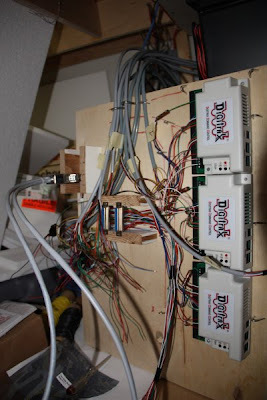 There are two more servo-controlled switches left to do that are not yet installed, as well as building the layout connection for all the old Maerklin snap switches, so I can control hidden staging and all ramp switches from the panel, too. 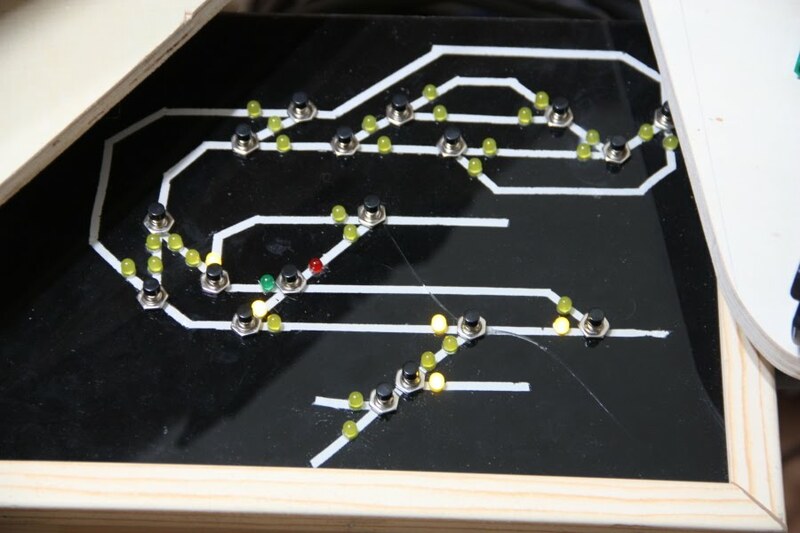 Overall, this is a ton of work, and I'm not really sure it's worth it, though I *really* like the tactile feedback from the push-buttons, and seeing the direction of the switch points indicated by LEDs on the panel. If and when I get to building a control panel for Emsingen, I will revisit my approach and decide whether I go with a home-made panel, or something more fancy.